Over the centuries, Quebec’s Gaspé Peninsula has been home to a mix of residents including the Micmac First Nations people, French settlers, Acadians and Loyalists. The Gaspé is surrounded by water on three sides — the estuary of the St. Lawrence River, the Gulf of St. Lawrence and the Bay of Chaleur – so in the past, many Gaspé residents made their living by fishing, however, the fishing industry has changed and suffered in recent years. The interior of the peninsula features mountains, forests and rivers. If you had ancestors from the Gaspé, the idea of researching their lives might seem daunting. It is a long way from central Canada, and many people in the region do not speak English today. However, there are a number of databases and other resources online, and you can contact the archives there to ask for help. The attached PDF has links to a variety of resources, including background on the Loyalists who came from the United States after the revolution and settled in the area. The major part of this document lists the notaries who practised in the Gaspé. Their records should help you find your ancestors’ land transactions, business agreements, wills, inventories, and other records. One of the best researchers to have studied the people of the Gaspé was Michel Émard, a medical doctor, historian and author. This research guide tells you where to find the books he wrote. It also tells you how to contact the main archives serving the area. Beginning in 1535, long before the establishment of Nouvelle France by Samuel de Champlain, Europeans traded goods for furs with the indigenous people in the region referred to as the Royaume (kingdom) du Saguenay (1535-1842). For centuries, the fur traders had complete control of the Saguenay River and the Lac-Saint-Jean regions of Quebec. Because the fur industry was so dominant, farming was forbidden in the Lac-Saint-Jean area until the 1850s. The Charlevoix refers to the area of boreal forest along the north shore of the St. Lawrence River, northeast of Quebec City, including present-day towns such as La Malbaie. The Saguenay River, which flows south from Lac Saint-Jean, enters the St. Lawrence near the village of Tadoussac. The attached research guide lists the fur trading companies that operated in Nouvelle-France and Québec, from the first such company established in France in 1614 to the Hudson Bay Company in 1854. In 1835, 1,830 young farmers from the south shore of the St. Lawrence and the Charlevoix region signed a petition sent to Governor Archibald Acheson of Gosford, requesting access to lands in the Lac-Saint-Jean region. When Acheson and later governors did not react to the petition, many young Quebecers moved to the New England States and other parts of the United States in order to seek jobs. In the late 1850s, the fur trade declined and the fur trading companies lost their political influence. Finally, the Lac-Saint-Jean and upper Saguenay areas were opened to agriculture, however, by this time, the seigneurial system had been abolished across Quebec. This 23-page PDF includes a list of the seigneurs and business leaders who controlled the Charlevoix and Saguenay areas for almost two centuries. It lists regional cemeteries and briefly describes the counties and towns in the area. It includes a list of the fur trading companies that operated in the region and a list of the notaries who prepared documents such as business contracts and wills. At the end of the guide you will find contact information for the archives and historical societies found in these regions. 2018 was a busy year for genealogy researcher Jacques Gagné, so if you missed any of his posts, here is a recap of his work and a look ahead to 2019. 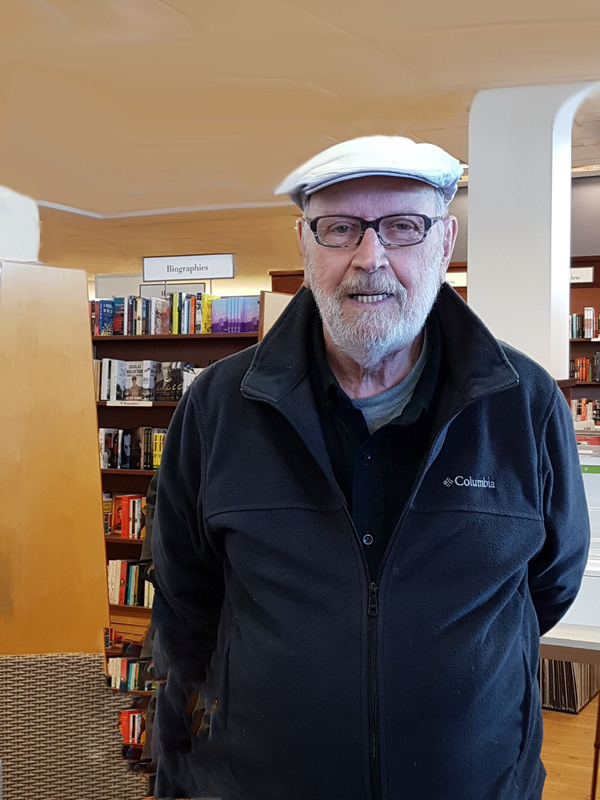 For many years, Jacques was a volunteer researcher at the Quebec Family History Society, so he has a broad knowledge of genealogical records in Quebec. He is particularly knowledgeable about resources at the Bibliothèque et Archives nationales du Québec (BAnQ), finding notarial records, searching for ancestors in France and anything to do with the Huguenots. He is now on the far side of 80 and his eye sight is not what it used to be, so the amount of research he has accomplished for Genealogy Ensemble is all the more impressive. He is passionate about what he does and he just keeps pushing ahead. The list of projects he would like to do in the future is almost as long as the list of his past achievements. Jacques’ work is actually a collective effort. He does all the hard work of exploring the Internet and putting together the research guides, while Claire Lindell and Janice Hamilton (me) revise them, edit the introductions and post everything online. I took a year off between the spring of 2017 and April 2018, which is why there is a gap in his posts. The major research guides posted in 2018 focused on one main theme: the seigneuries of Quebec. From the time New France was created in the 1600s until the mid-1800s, most land in Quebec was owned by a few individuals known as seigneurs. They were usually French aristocrats, wealthy merchants or military leaders. Most ordinary Quebecers were tenant farmers living on the seigneuries. Jacques identifies the seigneurs and seigneuries in each region, and the notaries who practised there. He also includes a list of cemeteries in each area and repositories for archival material and other resources. Another post from 2018 was a list of notaries who practised in the years after Quebec came under British rule, between 1760 and 1848. He also put together research tips for finding Huguenot ancestors in France, tips for searching at the BAnQ and French municipal archives, and a heads up on a wonderful online resource, the New France Archives from Library and Archives Canada, nouvelle-france.org. Jacques has been hard at work for several months on a new series of guides for 2019 on the merchants, ship owners and fur traders of New France. This series looks at the men who did business in New France. Many of them were born in France but married and died in North America, and some were also notaries or played other important roles in the new world. The series includes a post about their ports of departure and their trading partners back in France, as well as background on the trading companies they were associated with. He is also working on a new series of posts updating his old research guide to the Irish Catholic churches of Quebec (https://genealogyensemble.com/2014/05/20/irish-catholic-churches-of-quebec/). Meanwhile, guides to ancestors in the Charlevoix and Gaspe regions, and more tips on searching in France are coming soon. If you missed some of Jacques’ past compilations, or are having trouble finding something you noticed several months ago, our blog has several features that makes searching easy. On the right hand side of the screen, under the Geneabloggers logo and before Categories, there is a Search box. Enter any terms that you might think will take you to a post you are trying to find, such as the name of a region, as well as Gagné. (It will work without the accent.) If you find an article of interest and open it up to its full length, you will find suggestions for related articles at the bottom of the page. You can also look down that column on the right of your screen until you come to Jacques’ name (it is the fourth name in the list) and click on it. You can then scroll backwards through all his posts. When you get to the bottom of a page, click on Older Posts. Finally, below all the authors’ names on the right is a search function called Archives. It brings up all our posts from each month. Thank you for following us since 2014, and good luck with your research in 2019. Prior to the arrival of the first European settlers, the area around the Gatineau hills of Quebec, north and west of Ottawa, was the home of the Anishnabe Algonquin First Nations people. Between about 1800 and 1900, western Quebec was settled by British, American, Irish Protestant, Scottish, Irish Catholic, French Canadian and Germanic families. The Germanic settlers had a strong presence in this region. To my knowledge, there were few Loyalists or Huguenots. Prior to 1845, people and goods were transported primarily by barge along the Ottawa River, which separates Quebec and Ontario. The steamboat that operated on the Ottawa River between Montreal and Ottawa could not manage the rapids between Carillon and Grenville, so in 1854, the Carillon and Grenville Railway, a short 12-mile-long portage railway, was organized. 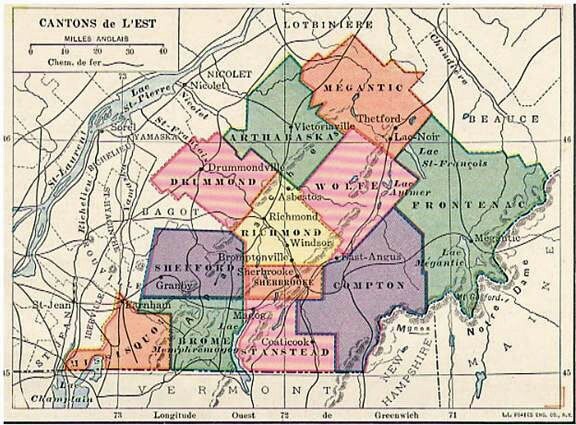 Prior to 1845, when they purchased land, finalized business deals or wrote their wills, the settlers of western Quebec likely dealt with notaries from Montreal, and perhaps those in Vaudreuil and Rigaud. The section of this compilation that lists notaries begins in 1845, since the Judicial District of Hull was a late-comer among judicial districts across the province. Today, this region is well served by two superb archives and four regional genealogical societies. Contact details for all these places can be found in the attached compilation.